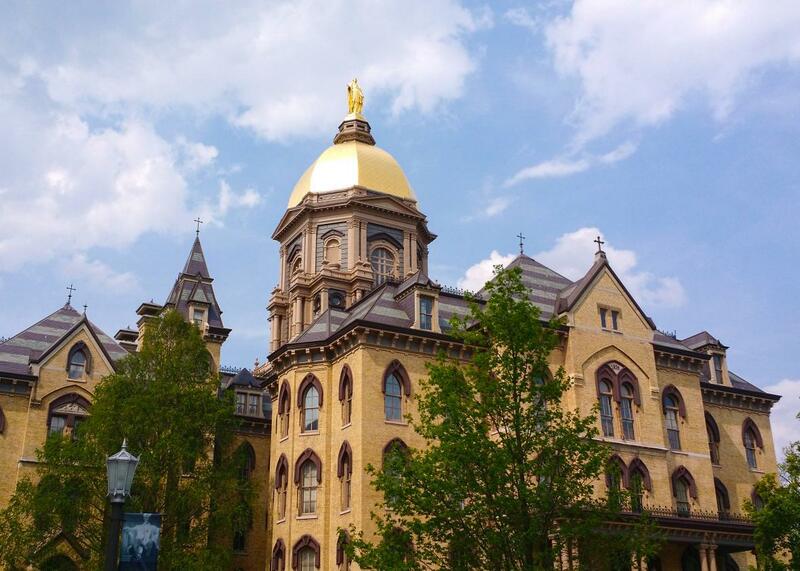 Notre Dame reverses its stance on birth control coverage for employees. This is a major shift for a Catholic school that sued the federal government over contraception. It was just over a week ago that University of Notre Dame administrators announced they were halting contraceptive coverage for all faculty and staff on university health plans, and they’ve already changed their minds. Employees received an email on Tuesday notifying them that no-cost birth control coverage will still be available in at least one plan on offer for 2018. The university’s initial decision came after the Trump administration expanded the list of religious exceptions to the contraceptive coverage mandate established by the Affordable Care Act. Religiously-affiliated organizations like Notre Dame, which abides by the Catholic Church’s anti-contraception doctrine, used to be able to outsource the mandatory birth control coverage to third-party providers and the federal government with a simple waiver. (Actual religious institutions, like churches, were the only ones completely exempt from the requirement.) Now, any company that asserts a moral opposition to birth control can withhold contraception coverage from its employees altogether. As the first major employer to announce that it would take advantage of the new loophole, Notre Dame set a decisive example for other religiously-affiliated universities and nonprofits, which control health care coverage for hundreds of thousands of American employees. Notre Dame went so far as to sue the federal government in 2013 for forcing it to submit a waiver to trigger the third-party provision of contraceptives. University administrators, including the president, Rev. John Jenkins, brought some of the loudest and most insistent opposition to the ACA’s mandate. Tuesday’s policy change marks a major shift in the school’s approach to women’s health care, and possibly an ever-so-slight shift in its interpretation of its position as a globally-minded university connected to an ancient, conservative institution. Notre Dame’s email said that Meritain Health and OptumRx—the third-party insurance administrator and pharmacy benefit company that has managed the university’s contraceptive coverage—are responsible for continuing the no-cost birth control benefits for employees. Students on Notre Dame’s health insurance plans go through Aetna, and the university hasn’t announced any final changes to its decision to cease contraception coverage on those plans, though its email stated that Aetna “intends to follow the same course” as Meritain Health and OptumRx. As of now, affected students are still set to lose their insurance coverage for birth control in August.